Swedish pop singer Tove Lo's second single, "Not On Drugs," is a slinky midtempo number with the hook, "I'm not on drugs/I'm just in love." So her performance of "Not On Drugs" on The Tonight Show Thursday was nothing short of totally funny, showcasing the DGAF casualness that makes Tove Lo so appealing. 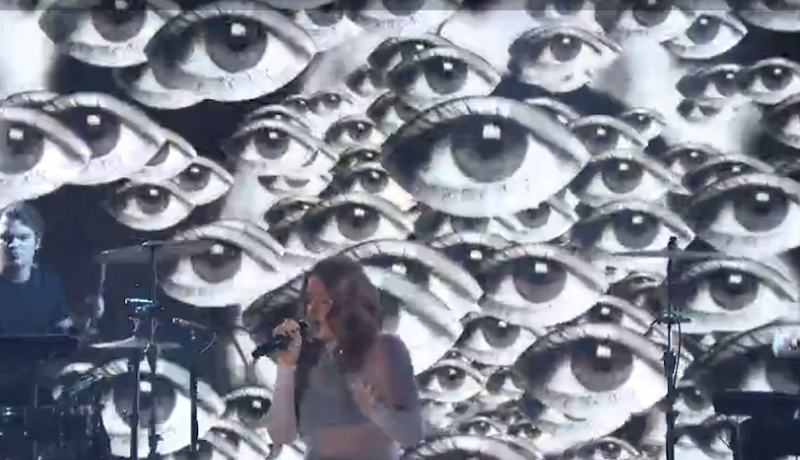 She played with the irony, of course, by juxtaposing "Not On Drugs" with psychedelic visuals of her own face morphing into kaleidoscope patterns, the same background from the song's official video. She danced a little rumba-style foot step and squeezed her eyes shut, the whole thing presenting her as an acerbic wildling and, probably, really fun to "party" with. Queen of the [weed?] Clouds is out now.